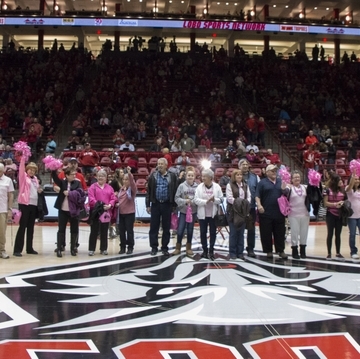 The University of New Mexico Lobos and their fans will be seeing pink when they take on the University of Hawaii Rainbow Warriors Oct. 17. 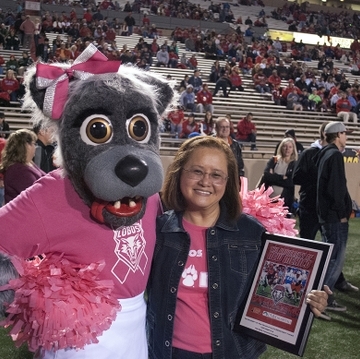 UNM Athletics, UNM Hospitals and the UNM Comprehensive Cancer Center are once again sponsoring the “Lobos Love Pink” football game to raise awareness for breast cancer. October is Breast Cancer Awareness Month. Cherry will once again turn to pink next month, when University of New Mexico football team and its fans celebrate breast cancer survivors and honor those who have lost their battle to the disease. 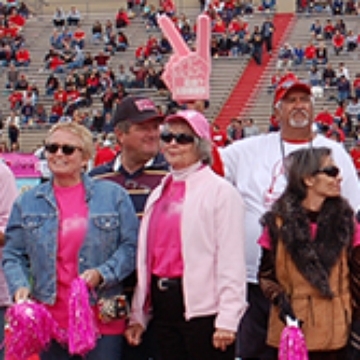 The UNM Cancer Center and UNM Hospital will be hosting their “Lobos Love Pink” football game to raise awareness of breast cancer and to demonstrate support for the brave women battling it. All those attending the game are encouraged to wear pink.